Hummus with Smoked Paprika, a variation of the Classic Hummus in The America’s Test Kitchen’s The Complete Vegetarian Cookbook, was a big hit at Chez Dedon recently. 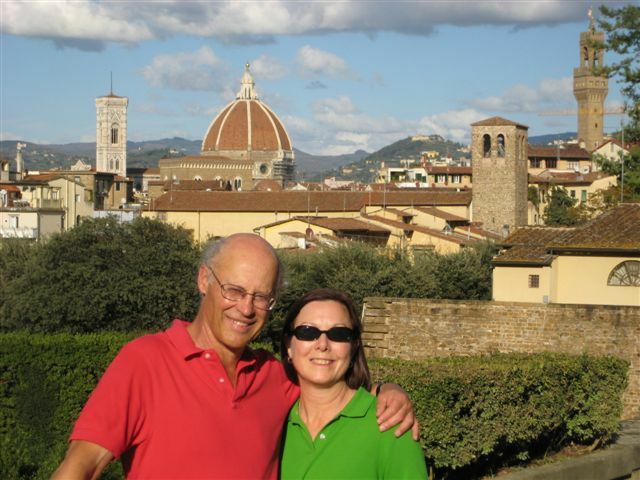 It was, as ATK says, “silky-smooth”. 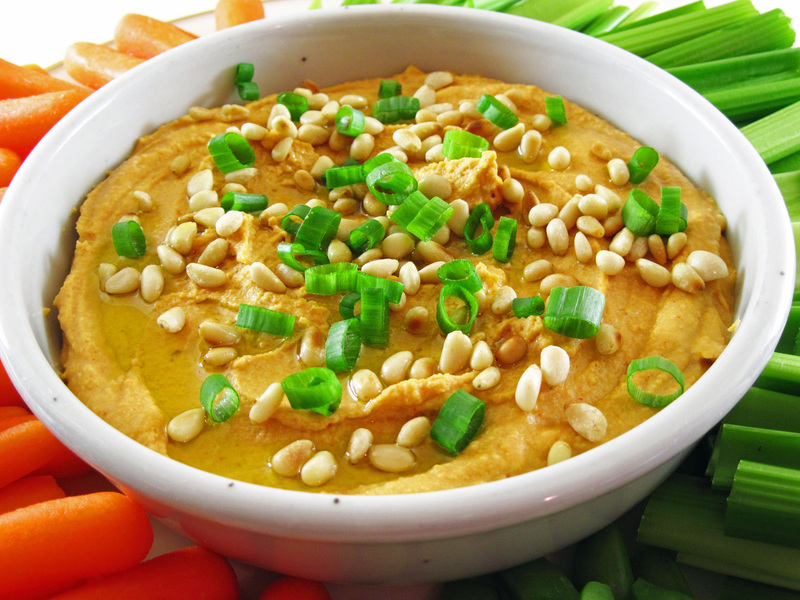 The smoked paprika added a lot of flavor and made the hummus a beautiful light orange color. You may have seen other hummus recipes that claim that it is impossible to make a smooth hummus without peeling all of the little skins off of each and every chickpea. That has always sounded like way too much work to me and apparently the good folks at ATK agreed. They experimented and found that a simple technique using a food processor could achieve the same smooth results. Their method involves processing the chickpeas and then slowly adding water and lemon juice while the processor is running. They then add a tahini and oil mixture slowly with the processor running. 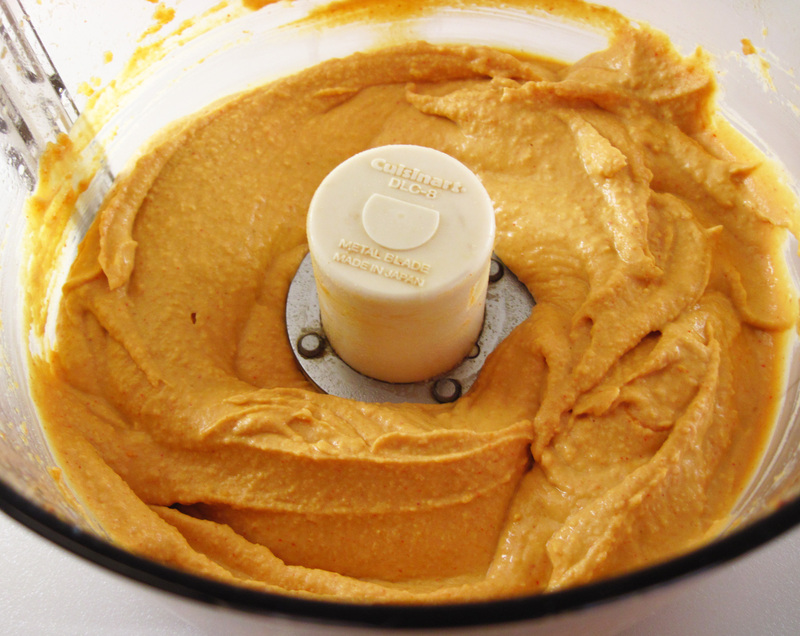 This method magically produces a super smooth hummus! 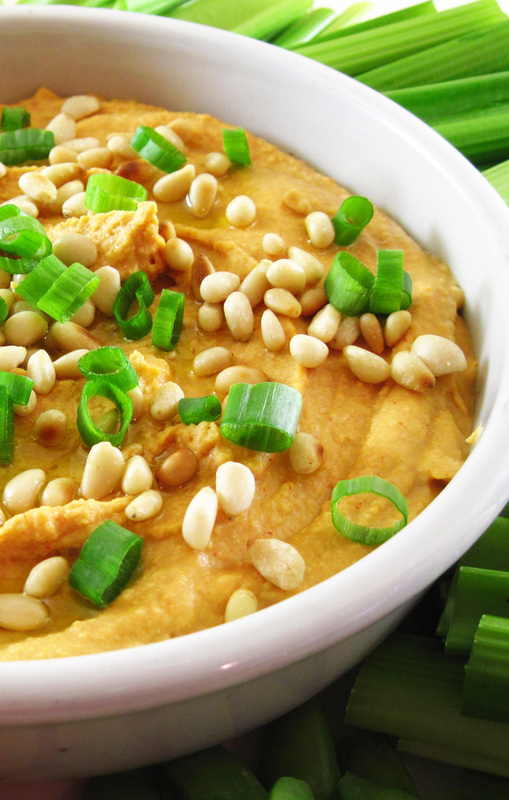 Give this Hummus with Smoked Paprika a try, and I think you’ll be hooked! Note about food processors: If you have a mini food processor with small holes at the top for drizzling in oil, please learn from my mistake. The holes are too small to handle the lemon juice and the tahini. It clogged for me and I had quite a mess on my hands. It is easiest to use this method with a full-sized food processor. If you only have the mini version, I suggest trying to blend in the lemon juice/water and the tahini/oil mixtures a bit at a time. It should work well even if it isn’t quite as smooth. 1. In a small bowl, combine the water and lemon juice. 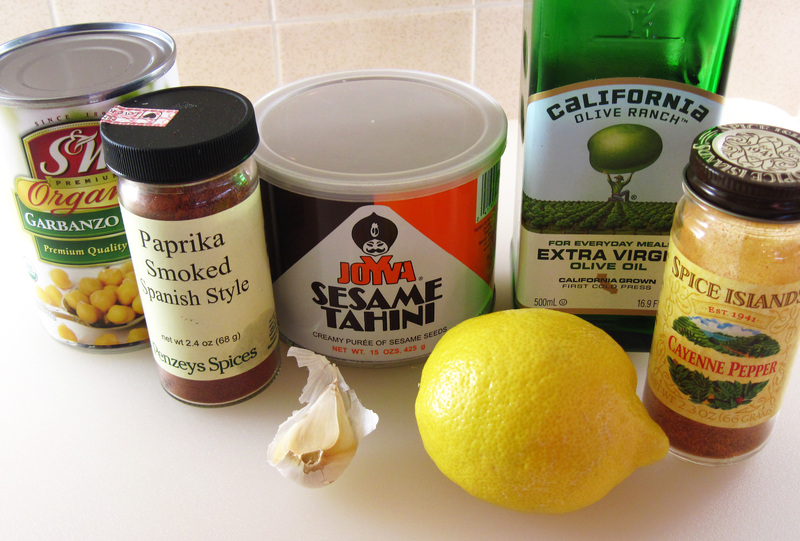 In another small bowl, blend the tahini and olive oil together. 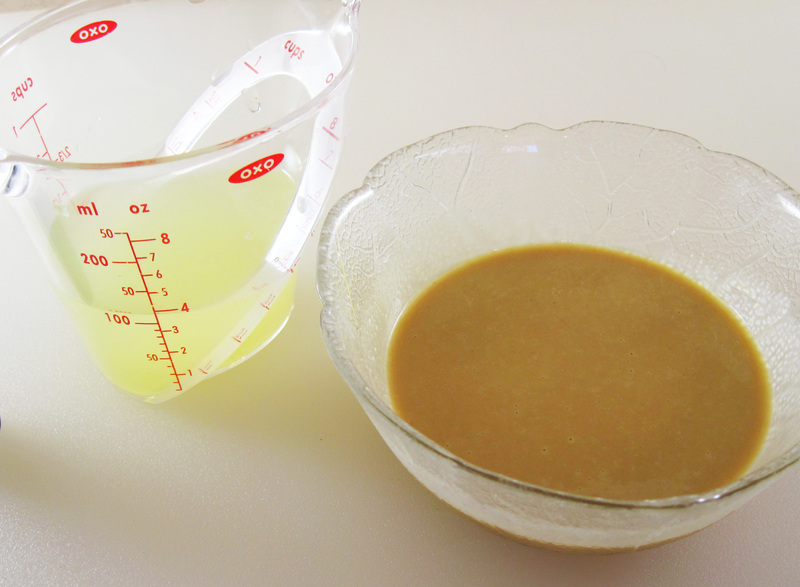 Lemon juice and water on the left; tahini and olive oil on the right. 2. 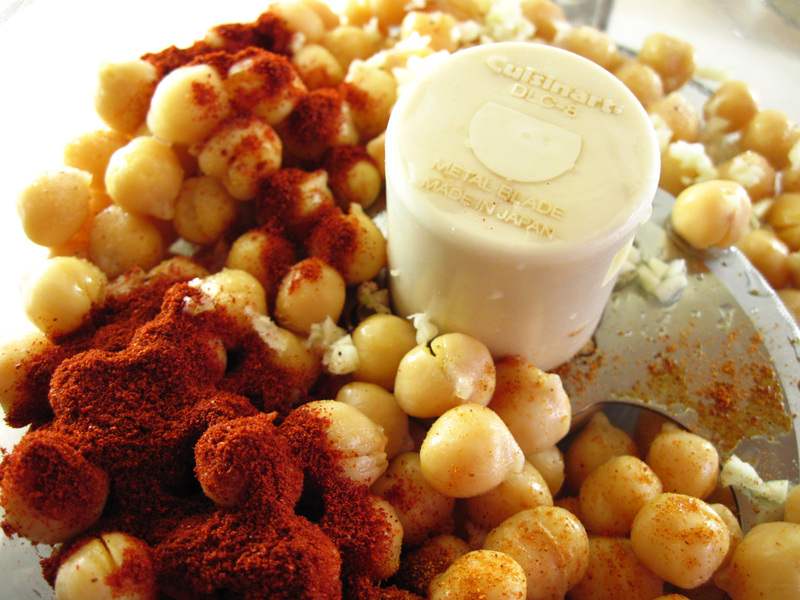 Put the chickpeas, garlic, salt, smoked paprika, and cayenne in the bowl of your food processor and process for about 15 seconds. 3. Scrape the mixture down into the bowl. With the machine running, slowly add the water and lemon juice. Scrape the mixture down and then process for about 1 minute more. 4. Scrape the mixture down and, with the machine running, slowly add the tahini and olive oil mixture and then process until smooth, about 15 seconds more. 5. Put the hummus in a serving bowl, cover with plastic wrap, and let it sit for at least 30 minutes to allow the flavors to meld. 6. When ready to serve, drizzle a bit of olive oil over the top and garnish with the pine nuts and green onion slices. Serve with carrot and celery sticks and/or pita chips.